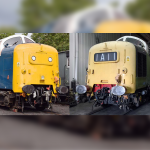 Many may have seen an article on the Rail Magazine website stating that I am selling both Deltic locomotives and collection of spares etc. 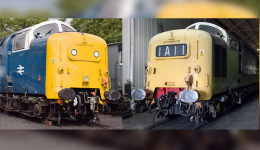 It has been the case for many years now, I have stated that I would love to hear from anyone suitable with the necessary resources, who may wish to take over the care of both my famous locos. 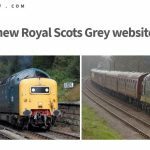 It is not exactly the case that the locos and components are actively being offered for sale, however, should any suitably serious interest be received I would consider my options. 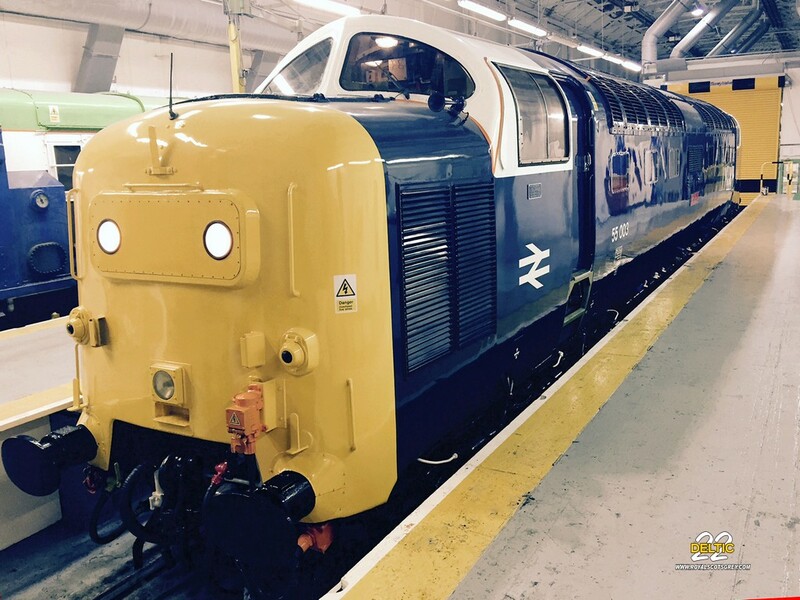 55 022 has enjoyed many successful years of regular faultless operation on both Network Rail and Preserved Railway lines. 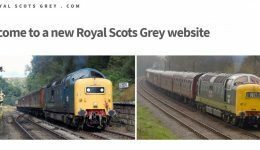 These have included ‘The Alcan’s’, ‘Royal Scotsman’, GBRF Electric Unit moves for just short of three years in addition to operation at the Boness & Kinneil Railway, Nene Valley Railway, Severn Valley Railway and home for the last 18 months or so at the North Yorkshire Moors Railway. I suppose the law of averages dictated that we were due a bigger issue to contend with, such as the sheared quill shaft on the number 2 unit that we soon hope to repair. 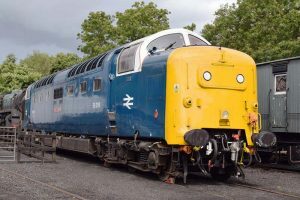 55 022 at Grosmont M.P.D. North Yorkshire Moors Railway. 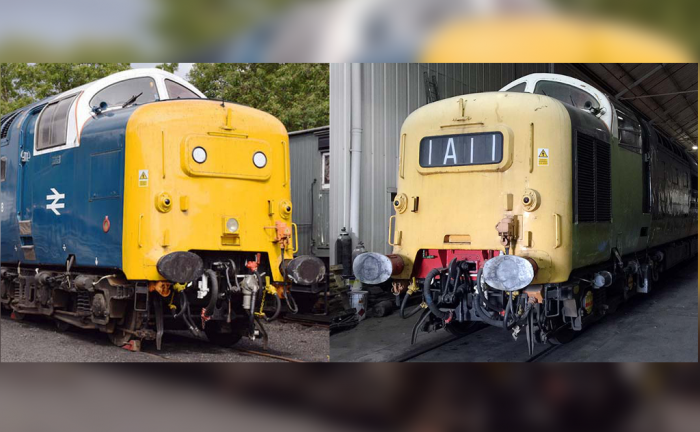 I have had a few issues to contend with over the last few months with both D9016 and 55 022 and it’s amazing that great plans for both locos have begun to take shape just as the Rail article was released!! 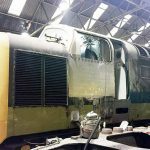 These should hopefully see 55 022 moving to a mainline TOC Depot soon, where hopefully work on the number 2 engine quill shaft can be expedited, this has been delayed for a while due to the crane at Grosmont being temporarily out of action. Due to lack of activity, storage fees were charged at Boden Rails Washwood Heath Works, which were an added burden. The loco was moved next door to D.C.R. 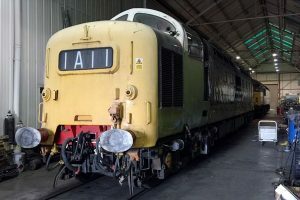 s Depot on the 31st August, I’d like to thank Neil Boden and his staff for the work carried out on D9016 which has seen a fair bit of the bodywork repairs completed. I’d also like to express my sincere thanks to Dan Monkman and Garcia Hanson at D.C.R. 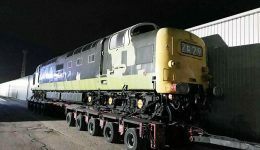 for coming to our aid and the loco being stored securely prior to a planned move to a new preserved railway home for completion of the bodywork repairs and future operation. D9016 inside the D.C.R. Depot at Washwood Heath, Birmingham, 14th September 2017.